The North District Plan supports important goals laid out in the 2000 Campus Master Plan for distinct academic districts, strengthened campus spines, clear campus gateways, and additional quality campus open space. 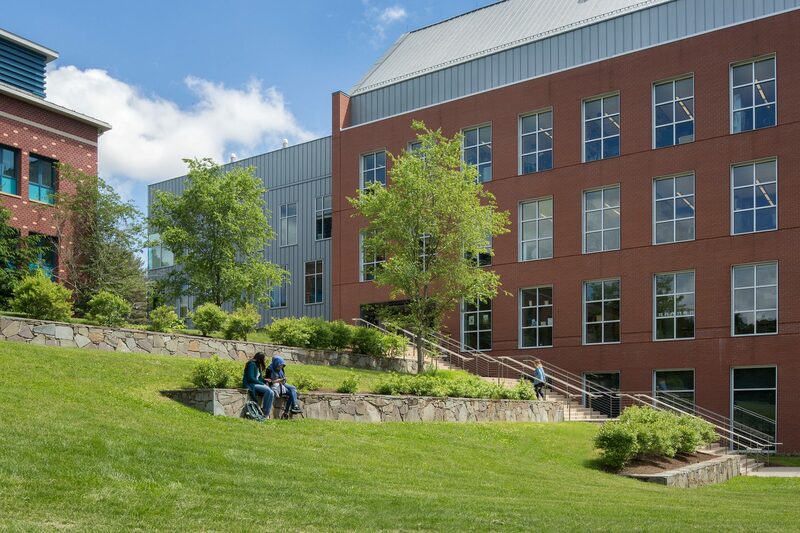 The North District Plan for the URI campus provides a cohesive district for three new science buildings being built amongst seven existing buildings (mostly science-related) to create a new image for a sustainable and forward-looking science district for the 21st Century to support the institutional goals of economic development for the state. 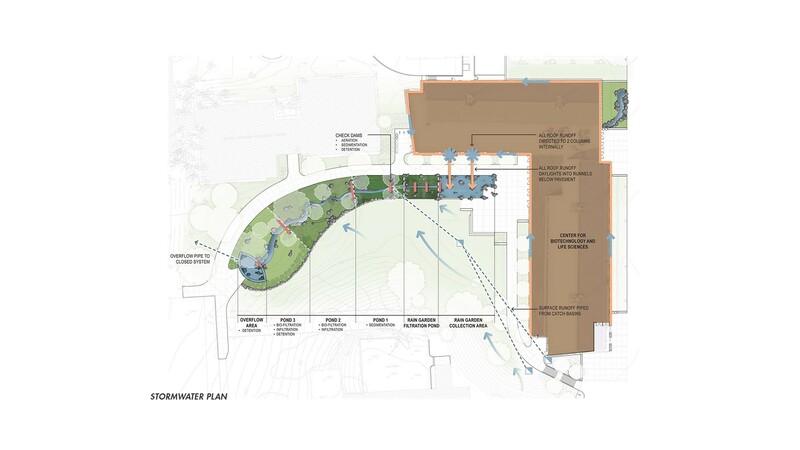 A prior master plan for the North District proved to be cost prohibitive to implement, so the design team for the district’s first new building, the Center for Biotechnology and Life Sciences (CBLS), was asked to update the North District master plan. 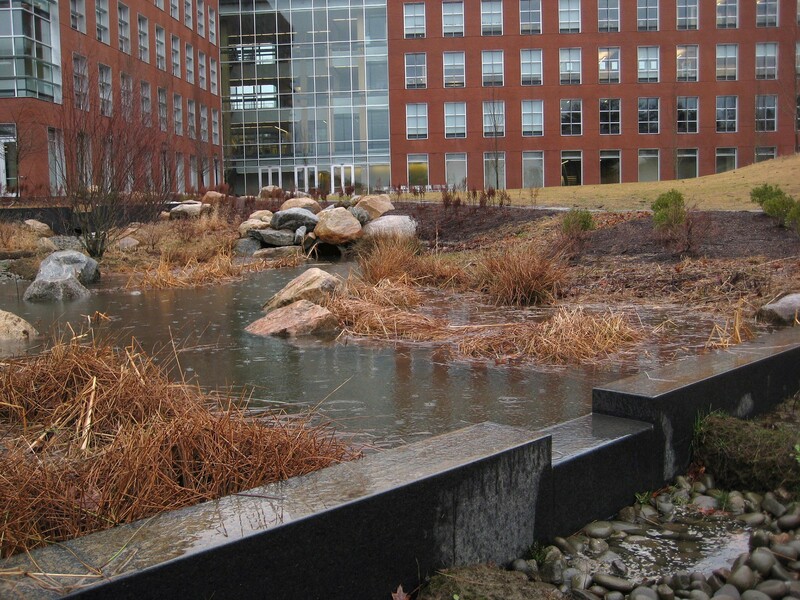 This provided the opportunity to explore stormwater management on a district-wide basis, rather than on a building-by-building basis. 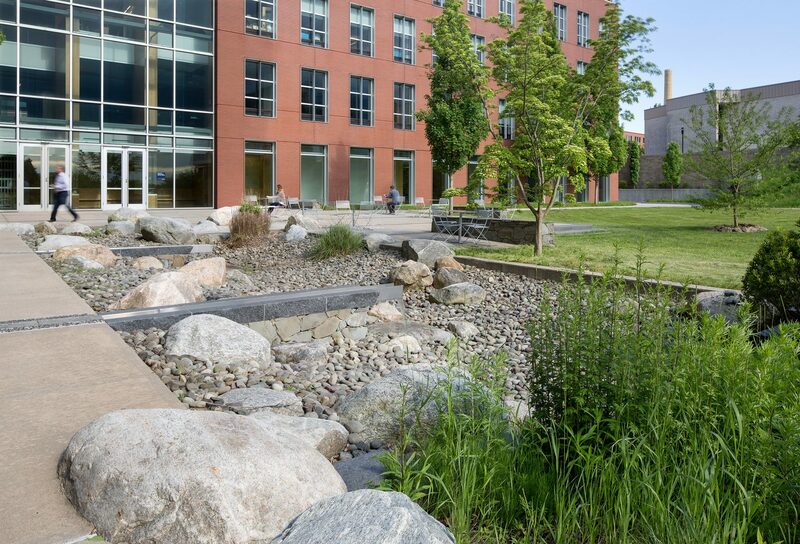 Impervious clay soils, steep slopes, and remaining buildings at different elevations presented interesting challenges to cohesive open space design, as well as perceptions of a new, informal rain garden aesthetic as different from the historic campus character dominated by open lawns and shade trees. 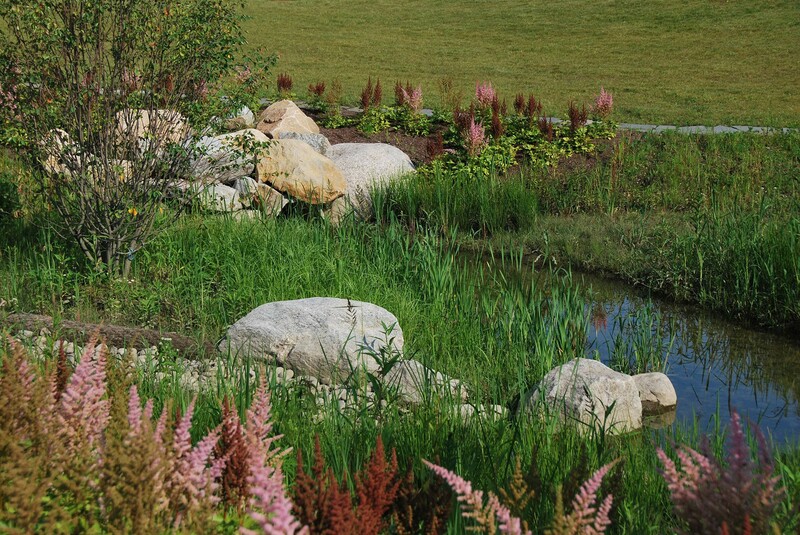 Using positive models of successful rain gardens, CRJA-IBI Group advocated for a landscape-based stormwater management system (rain garden and detention ponds) in a visible location, to address the institution’s ecological, educational, aesthetic, and identity objectives for the district. 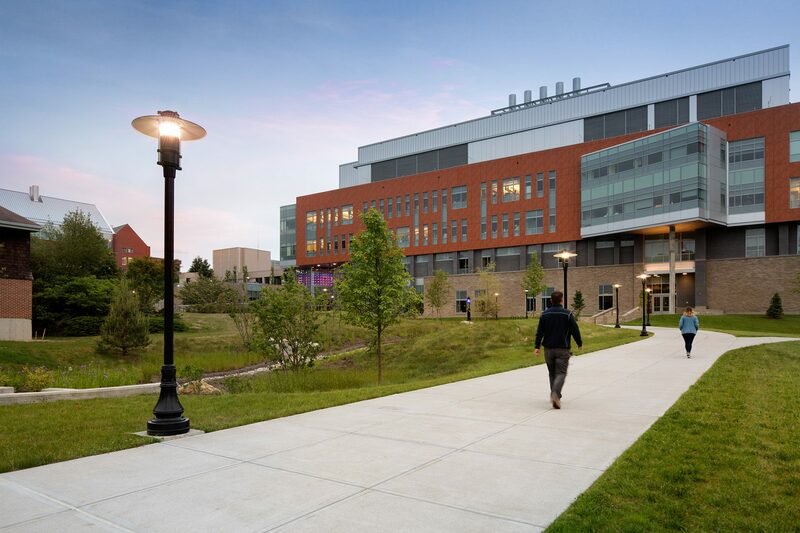 CRJA-IBI Group was involved in all three phases of the implementation of the North District Master Plan, beginning with the Center for Biotechnology and Life Sciences (2009), the College of Pharmacy (2012), and the Center for Chemical and Forensic Sciences(2016).